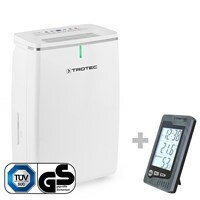 The TTK 72 E Dehumidifier collects 24 litres/day. PSCS for use as pistol or straight screwdriver. 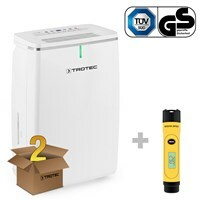 The TTK 72 E Dehumidifier collects 24 litres/day. PSCS 11-3,6V - everything ready at hand. 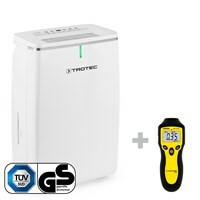 TTK 72 E Dehumidifier + BZ05 measurement of air temp. & rel. humidity + BY10 tyre pressure meter. 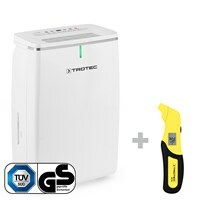 The TTK 72 E Dehumidifier collects 24 litres/day. The BM31 Moisture Meter locates surface moisture. 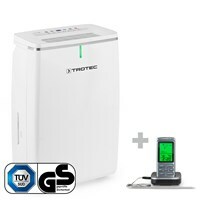 The TTK 72 E Dehumidifier collects 24 litres a day. 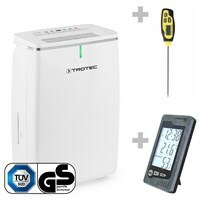 Wireless control of temperature with the BT40! 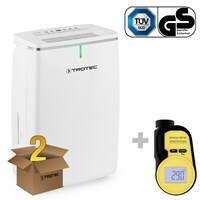 The TTK 72 E Dehumidifier collects 24 litres/day. 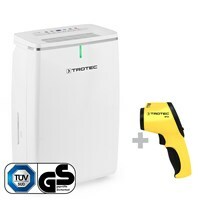 HyStream 2000 Hot Air Gun with an output of 2000W. 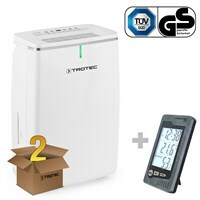 TTK 72 E Dehumidifier collects 24 litres/day. The RP05 measures temperatures from -35°C to +230°C. 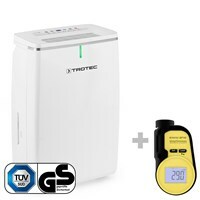 The TTK 72 E Dehumidifier collects 24 litres/day. The BP15 measures surface temperatures. 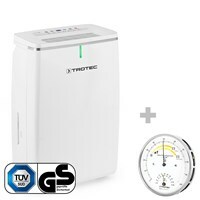 The TTK 72 E Dehumidifier collects 24 litres/day. Infrared thermometer for contact-free measurement. 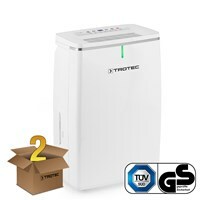 The TTK 72 E Dehumidifier collects of 24 litres/day. BL30 for long-term recording of climate data. 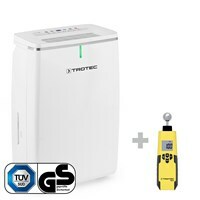 The TTK 72 E Dehumidifier collects 24 litres a day. 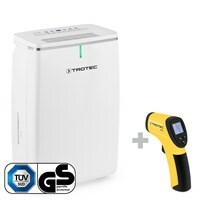 Measures the microwave emissions of any device. The TTK 72 E Dehumidifier collects 24 litres/day. BP25: for measuring surface temperatures. 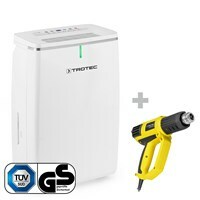 The TTK 72 E Dehumidifier collects 24 litres a day. BZ05 for measuring air temp. & rel. humidity. 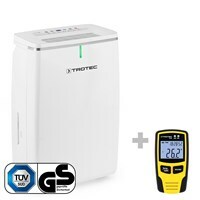 TTK 72 E Dehumidifier with a performance of 24 litres a day + BY10 Tyre Pressure Meter. 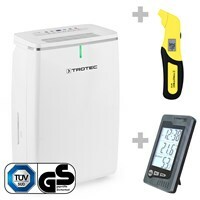 The TTK 72 E Dehumidifier collects 24 litres/day. 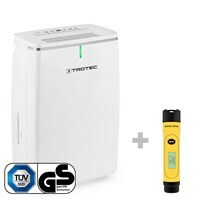 Locate leaks and burst pipes effectively. 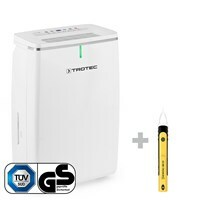 The TTK 72 E Dehumidifier collects 24 litres a day. Locate cable, wood, or metal with the BI15.